What's your goal? More buyer leads, more listing appointments, better brand recognition and market share? No matter which of these you've set your sights on, there's one sure-fire way to help with each of these: listings. 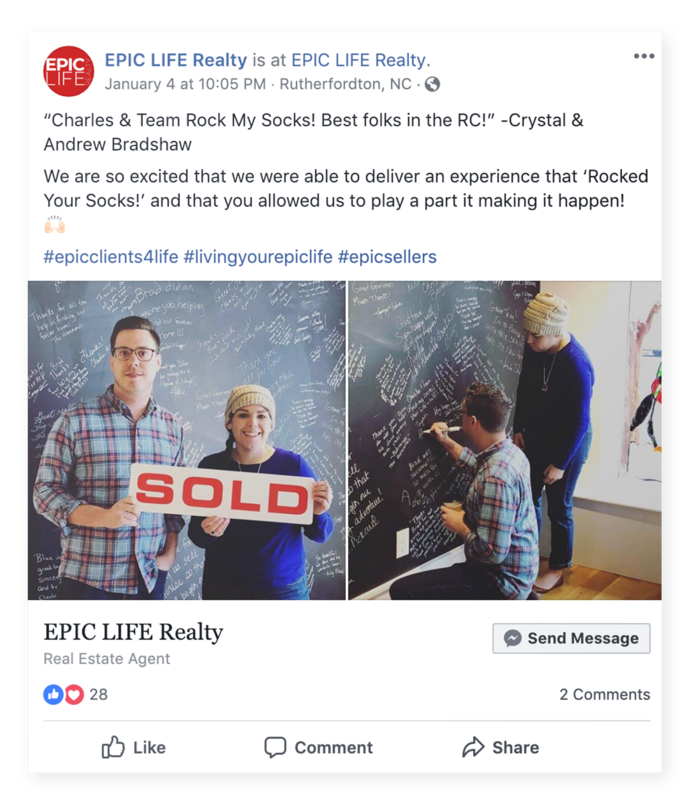 In addition to generating new buyer and seller leads, listings also offer the opportunity to showcase your brand and expertise with valuable, relevant content. So if you believe that More Listings = More Leads and you want more of both, you're in the right place. Read on for 19 strategies to generate listings from your past clients, sphere of influence, cold leads, and more. The value of the US Housing Market increased by $1.9 trillion in 2018. That's a 6.2% increase! Want to know how much your house’s value went up as part of it? You know your market better than we do, so if you’ve got a more interesting or relevant stat about your area, lead with that. Regardless, find an appropriate angle to pair with your stat and you’ll start having better conversations that lead to more listings. Here’s another stat for you to share with your past clients, sphere, and seller leads, and it’s a doozy. 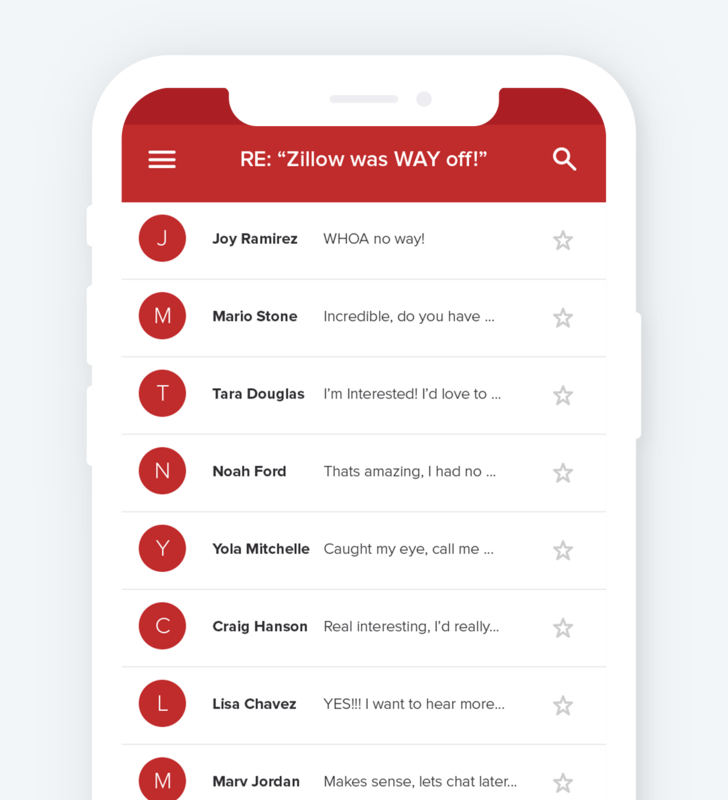 We created this email and gave it to our Curaytor clients - it’s been a huge hit and has generated a ton of interested replies and appointments. Did you know that the CEO of Zillow sold his home for 40% less than the "Zestimate"? 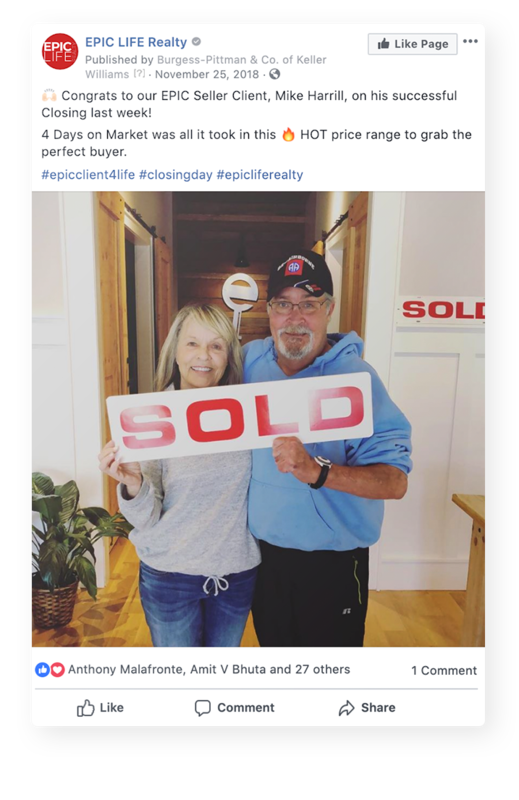 With that in mind, if you are considering the sale of your home, (or the address of a home you want to buy), reply to this email right now with your home's address and I would be happy to send you a "Zactimate." Obviously you’ll get more “No”s than “Yes”es but any Yes or more in-depth answer provides an easy opportunity to follow up via DM. Head to a local landmark or the entrance of a neighborhood in your area. Give the details about two properties that recently sold nearby. Add a CTA that lets your viewers know they can email or DM you to inquire about other sold homes or check their own home’s value. That’s it! And if you’re still not sure about what equipment to use, Curaytor’s resident videographer shared his setup. You can check it out here. Tim Smith is one of the most successful people in real estate in one of the most competitive markets in the country. So when he was a guest on the #WaterCooler, we asked him to share his strategy with us. First, he measures his team’s day-to-day success by two metrics that should be familiar to anyone with a background in sales: appointments and contracts. What do you say on the phone with your sphere? Try “Have you had any thoughts of selling?” and “Do you know anybody that’s had thoughts of selling?” Tim’s sphere is so used to answering that now they start thinking about who might be selling any time Tim pauses in the conversation. 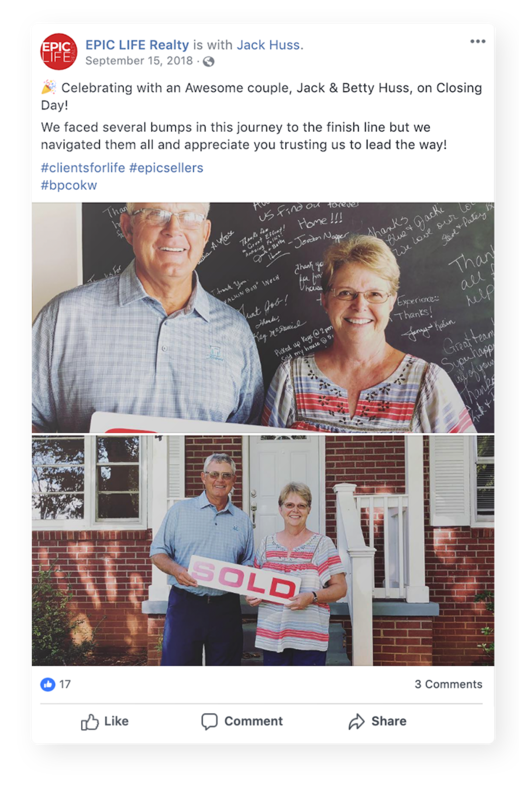 Here’s a strategy to help prospect seller leads that you can be sure want to sell their home. In fact, they’re already on Zillow. Head to Zillow.com and search for homes for sale in your area. Clear the “Listing Type” menu and only keep “Make Me Move” selected - now you have a list of seriously interested sellers to start some conversations with. 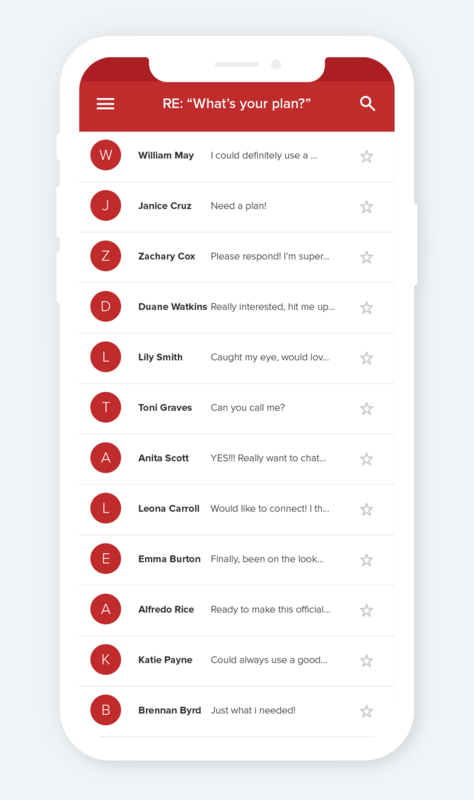 Once you have the filters selected, not only will you see the current Make Me Moves but you can ALSO subscribe via email to get alerts any time more are added! Just like the tip about Zillow above, this technique is available to anyone thanks to technology and public records. Use Realtor.com’s home search and sort by “Newest Listings.” But you’re not here for the most recent listings on the market, so scroll down and click on the last page of search results. 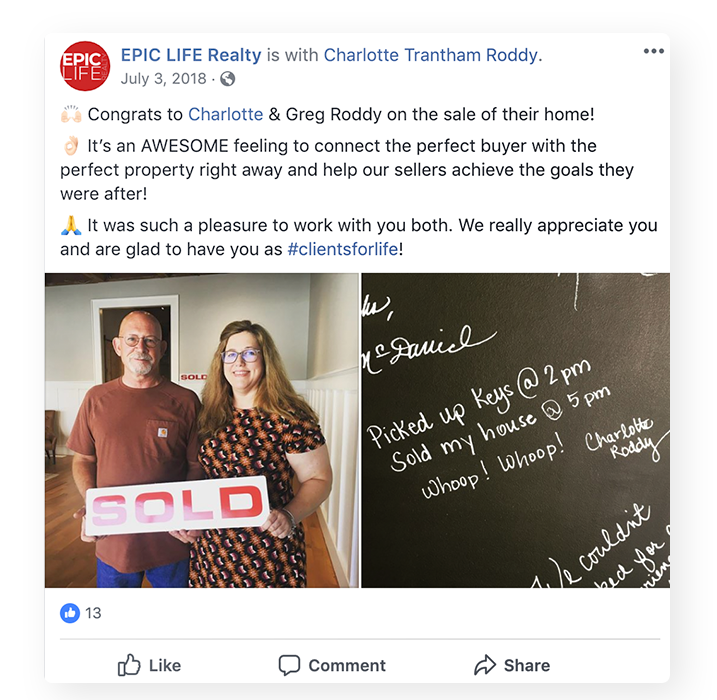 Take a screengrab of the listings with a low photo count and a high number of days on the market - you can show the seller the difference between how their home was marketed before it expired and how you can help show it off now. Now you’ve got a list of some upcoming expireds and can start your prep work on how you’ll approach them. Be prepared to respond quickly: many sellers want the most money they can get, but these companies are proving there is still a huge market for people who value speed. Sean Moore is one of our all-time favorite #WaterCooler guests. We asked him for his listing presentation strategy - not only did he give us 15 great questions he asks at every first appointment, but he also explained the philosophy behind them. It’s a valuable lesson in what sales really boils down to: human communication. Have you ever bought or sold a home with a realtor before? How long do you think it will take to sell your house? What do you think the difference will be between the asking price and the initial offer? The full rundown of Sean’s 15 questions (and Chris & Jimmy’s thoughts and insights about each) runs under an hour - it’s 100% worth watching. Implement some of Sean’s questions and conversation skills into your meetings and you will see an increase in your listing conversions, no doubt. If you ask the average agent what’s more important between buyers and sellers, they’ll typically say sellers. But when you look at their websites, the first thing highlighted is a home search. Stop sending the wrong signal, start selling your services. Every real estate website should have a page that sells its services to potential home sellers. Selling your home is a daunting process, so give your prospective clients the peace of mind that you have a tried and true plan to list, market, and sell their home. 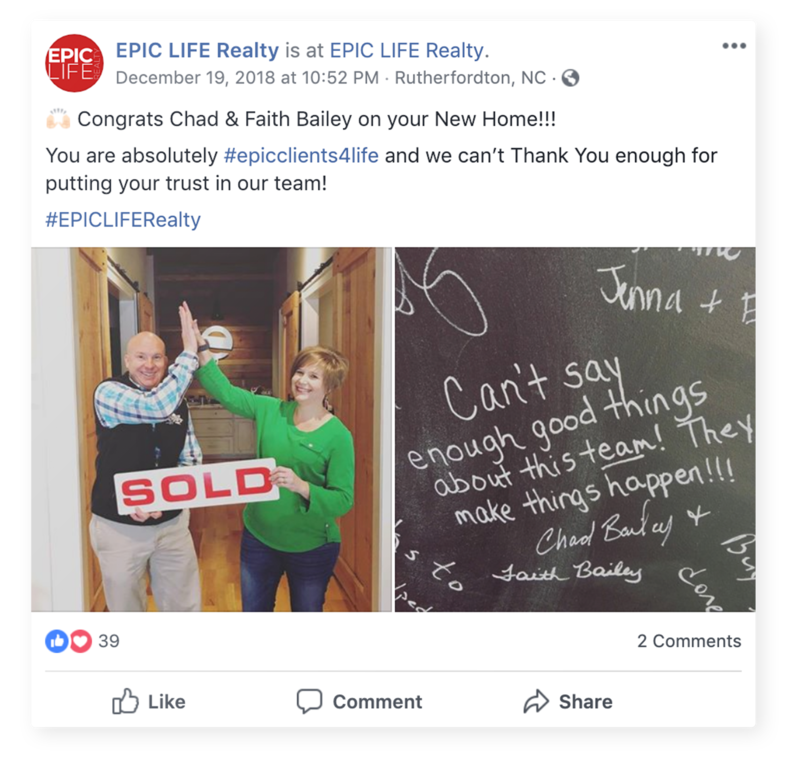 If you’re looking for inspiration in making this kind of a page, here are two of our favorite examples: Heather Scott’s Six Steps to Success and the Hartis Property Experts’ comprehensive Marketing Plan. When you’ve used all the tips on this list, you’re going to have a lot of happy sellers. You can turn those into even more listings, by turning the corner on a common business practice and making something truly compelling. He’s leveled up his reviews by turning his wildly positive customer experiences into evergreen content that sells every new person who comes to his website. The stories are interesting, unique and are an authentic representation of his brand. The best part? People help support what they create. Feature your clients in a positive light and turn them into your brand ambassadors! We believe that if you tell more stories, you’ll sell more homes. It’s no secret that generating buyer leads is much easier than attracting the ever elusive seller lead. The common mistake we see many savvy real estate agents miss is they forgot to ask their buyer leads one very simple question. Buried in your database of thousands of buyer leads are hundreds of sellers. These homeowners need to sell their home before they buy a new one, they are just waiting for you ask the right question! Update your automated action plans that go out to include a question about their current living situation. You can tweak this script to your liking but whatever you do, don’t forget to ask! This is actually a two-step tip: first up, it’s time to update your list of approved and recommended vendors. Finding reputable people that you trust is the hard part, so take this question to your email database and your followers on Facebook. Be sure to let them know you’ll be publishing your list publicly. One of the biggest mistakes we see people make is mistaking delivering a great experience for earning a customer’s business for life. 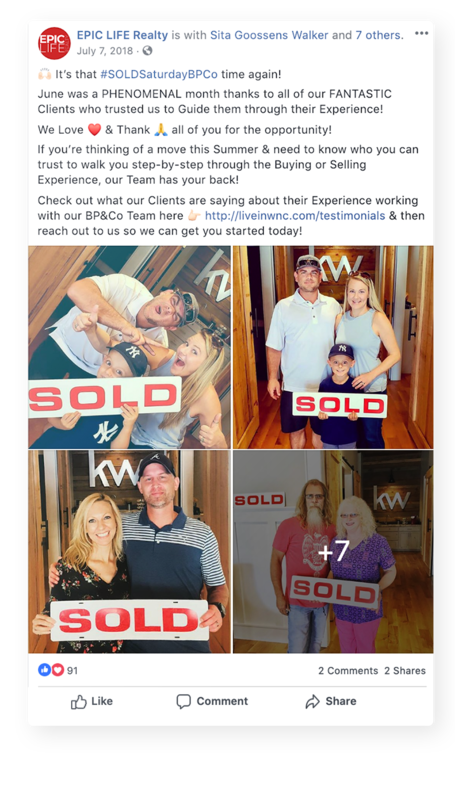 For some, sure, a job well done means you’ll go back to the same agent the next time you have a real estate need. But some consumers treat transactions like exactly that: You do a service for them, they pay you for that service, end of transaction. That’s why it’s important to stay on your past clients’ minds, but not be intrusive or obnoxious about it. We’ve crafted an email for you to send that can help achieve both. It’s sometimes hard to imagine a day when you’re going to want to sell your home, but that day eventually comes. 1 year, 3 years, 5 years? It’s hard to say because life has a way about being unpredictable. I wanted to make sure you knew I was here for you when that moment came. There are things we can be doing now and in the future to help maximize your profit when you sell. This includes your mortgage payment schedule, what home improvements to make or avoid, and, of course, timing. All of these factors (and many more) have a dramatic impact on what you should do between now and when the time comes to sell. You’re probably familiar with loyalty cards and VIP programs. You probably even do some form of one, with the occasional gift and past client appreciation events. Curaytor client Rachel Mooney’s version of the VIP experience enhances the whole process. 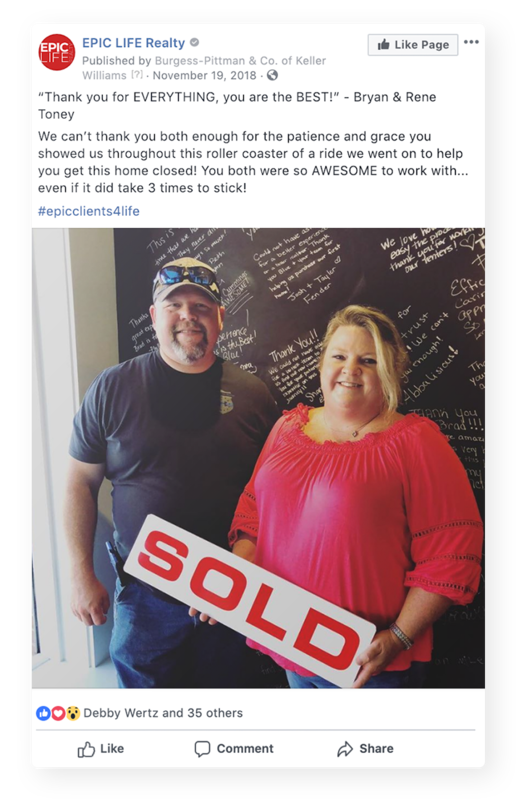 She makes her past clients and referrers feel special with one-time perks like free movie tickets and dinner at local restaurants, but she also formalizes it with quarterly gifts, recurring coffee and tea, and more. People have a hard time believing you can solve their problems if you haven’t made it clear you understand what those problems are. Many avoid writing discussing the potential pitfalls, not wanting to appear to be a fearmonger. But there’s a lot of space between “everything is awesome” and being a Negative Nelly - space that real people occupy and need guidance through. So don’t be afraid to acknowledge those pain points in your ads and emails. Speak to issues like not knowing whether it’s the right time to list, whether they’ll be able to afford a new home, the complications of the homeselling process, and more. Then point them to the Seller Services page we recommended you build back in Tip #10 and stake your claim as the expert who can help through all the challenges. There was a time when simply publishing a good looking Just Sold post on Facebook was enough to be a differentiator. That time has passed. It’s time to get back ahead of the curve. Everyone’s doing them now. So how do you make yours stand out? This data can be presented as the dry, public record that it is, or you can make it connect with your audience by framing it in a specific, timely way. Which of these are you more likely to click? 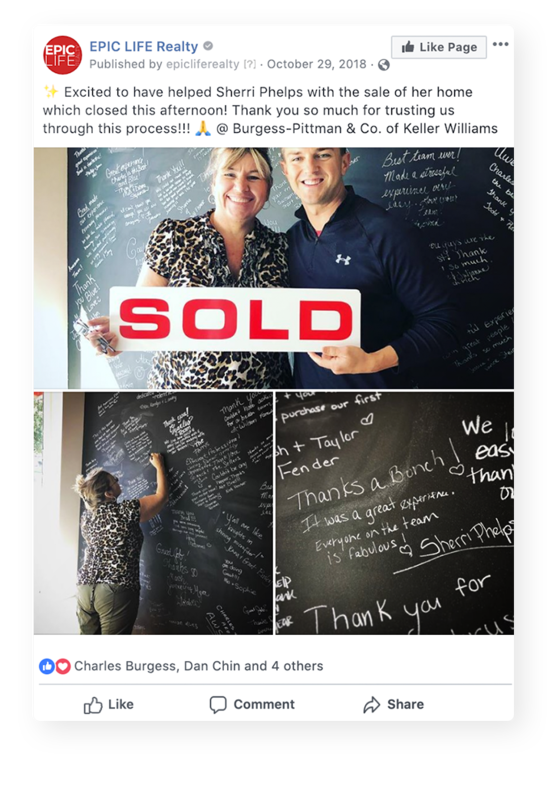 The best opportunity you have now is to turn these “Just Sold” moments from general awareness campaigns that showcase your overall prowess into direct opportunities to help individuals who will do business with you. There is a general fear in real estate that if we give away our information, our competition will steal our ideas or our consumers will realize that they don’t need us. But the truth is this: Consumers have proven time and time again they are willing to pay for convenience. Instacart, Dollar Shave Club, Quip Toothbrush -- all charge a premium to remove the hassle from the process of buying or using the product. By giving away your trade secrets, you elevate your brand and become the authority. It’s counterintuitive but it’s true. 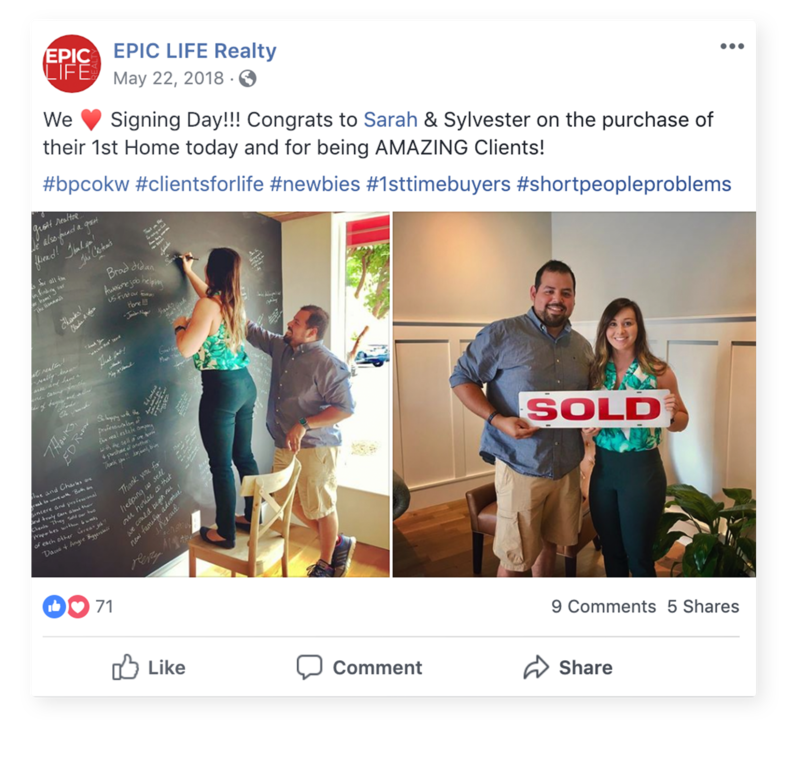 Creating a well-designed, comprehensive, useful piece of evergreen content like Scott Moe’s 40 Top Tips for Selling Your Home is a big step in earning the trust of the consumer.